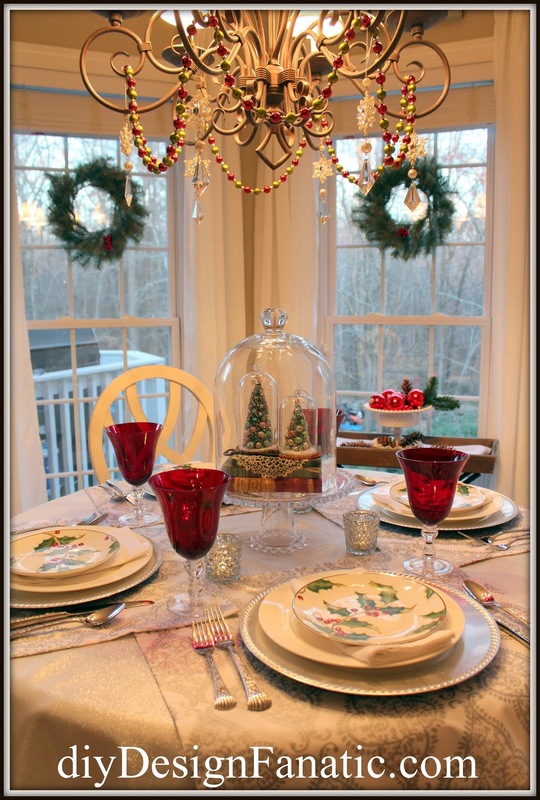 Setting a pretty table in the Breakfast Room or Breakfast Nook is an easy thing to do and it's been my favorite place to decorate over the years. Our last house was especially wonderful to decorate because it had 3 angled windows with a view of the woods outside. I loved hanging a wreath in each window, with a ribbon as a hanger. My ruby red glasses are ALWAYS displayed on the Breakfast table every Christmas season. Can you tell they're my favorite? I think they go with any Christmas color choices. Here's the Christmas Breakfast Room last year. Lots of red and plaid! And, of course, my ruby red glasses. The table in our Breakfast Room will be set next week and I can't wait. Not sure how I'll decorate it, but I know for sure, that the ruby red glasses will be perfect, however it is set. You always put things together so nicely. Love the red goblets. I have some too but often forget to use them. Looking forward to seeing your holiday decorating! 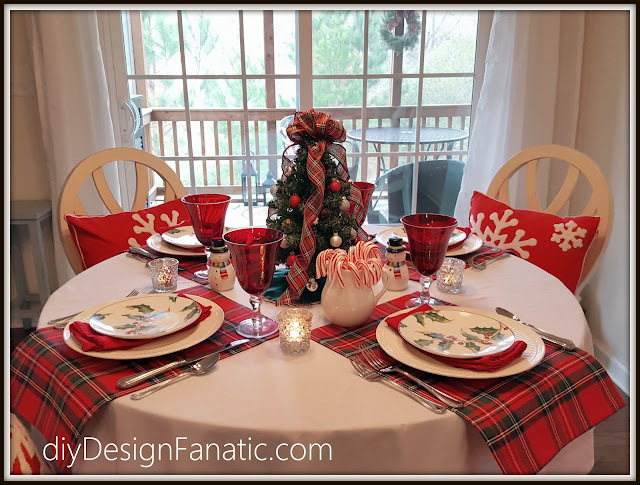 Your christmas decor looks so adorable!! I love how beautiful it looks. Thanks for sharing the pics!